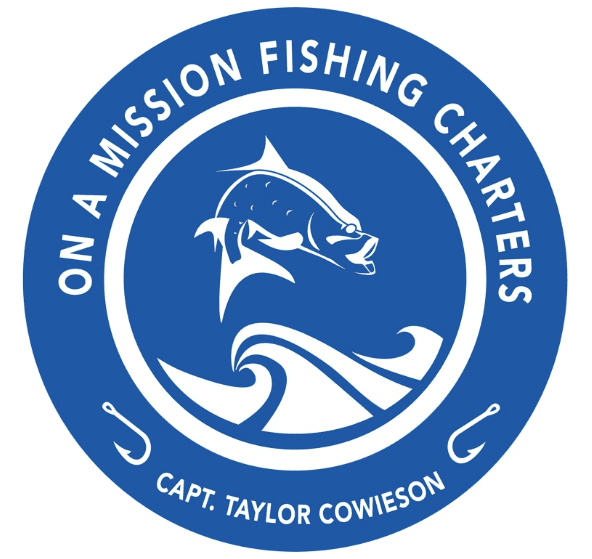 On a Mission Fishing Charters offers Inshore (primarily fishing the bay) and Nearshore (venture into the Gulf of Mexico up to 9 miles) fishing charters In Bradenton and Sarasota including: Anna Maria Island, Longboat Key, Siesta Key, Sarasota Bay, Tampa Bay, and the Manatee River. We offer 4, 6, and 8 hour fishing trips that can be arranged any time of the day including night fishing trips. We encourage kids to come aboard. We can accommodate up to 5 anglers aboard our 23 foot boat. In the areas that we fish there is always something exciting to catch no matter what time of year! On our inshore fishing charters we will be fishing the bays of Tampa Bay and Sarasota Bay on the grass flats and around the mangroves & oyster bars. During our inshore adventures we primarily fish for snook, trout, and redfish. Other species that we encounter on our inshore fishing charters include flounder, pompano, mangrove snapper, sheepshead, Spanish mackerel, bluefish, gag grouper, ladyfish, and jack crevelle. We fish with light tackle and use live bait and lures. A nice thing about fishing inshore is that we are always within 10-20 minutes of a restroom. Some of the best inshore fishing occurs in the spring and fall with these transition periods have fish very hungry and on the move. On our Nearshore fishing charters we fish a couple miles off the beach out to 9 miles into the Gulf of Mexico. We fish strucure on the bottom like ledges and rock piles. Fishing these areas we use a couple different techniques such as dropping baits to the bottom using weights or by trolling plugs behind the boat around these structures to entice pelagic fish that are supsended higher up in the water. These fishing charters are great for kids as it can be non stop fun. we come across Snappers, Groupers, Sharks, Permit, Kingfish, Spanish Mackeral, Cobia and more! We fish with light tackle, medium-heavy tackle and trolling setups. We also offer hand line for goliath grouper. Tarpon fishing charters available May-July. Fishing along the beaches and major passes of Bradenton & Sarasota. WE PROVIDE: fishing licenses, fishing rods and all fishing tackle, live bait for the day, cooler and ice, and at the end of the day if you would like to keep fish we will clean and bag your fish and provide ice (bring a small cooler for the fish for the drive home). YOU BRING: what you want to drink and eat, SUNGLASSES and hat, camera, light rain jacket or windbreaker. PLEASE NO SPRAY SUNSCREEN ABOARD THE BOAT.